A diligent first-time car buyer will spend hours checking out competing vehicles, test-driving, and choosing must-have car features. Then comes the decision to buy a new car or used one, or to lease. In short, if you're the typical first-time car shopper, you have a lot of research to do. But many first-time buyers overlook what may be the most critical part of car buying: factoring in the total cost of the car. Those costs blindsided Justin Perez, a recent college grad who lives in Boulder, Colorado. He'd purchased his first used car and had done everything by the book: researching the vehicle, its history and even the reputation of the selling dealer. After negotiating a significant discount on the price and making a sizable down payment, he arrived at a monthly payment of $340. To him, that would be the bulk of his total monthly spending for the car. But he didn't appreciate just how much car ownership was going to cost him. Between the payment and other car expenses, including an insurance bill that was steeper than he'd planned on, he was averaging nearly $700 per month. "I expected to pay some amount over the payment, but I had no idea it was going to be this much," Perez said. He got a second job as a Lyft driver to make up the difference. HOW MUCH DOES A CAR REALLY COST? To fully understand the costs of buying a car, here's a look at the monthly estimated fuel, upkeep, repair and insurance charges a driver can expect to pay in the first three years of owning a Honda Accord, a perennial top-seller. Standard taxes and fees are part of this equation. We determined these ownership costs using the Edmunds True Cost to Own (TCO) tool. 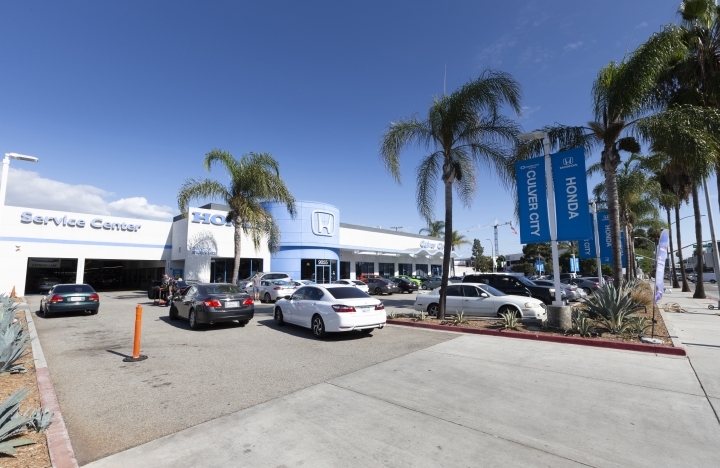 The prices for the used, new and leased Honda Accord are based on Edmunds' analysis of 13,500 transactions that took place over the summer of 2018. New: The average monthly payment for a 2018 Honda Accord purchased this summer was $494. Once the ownership expenses are included, that monthly tab increases to $728 over the assumed three-year period. Used: The average transaction price for a used 2015 Honda Accord bought this summer was about $16,300, with an average payment of $340 per month. Add in all expected operating costs, such as gas, insurance, routine maintenance and repairs, and the monthly cost balloons to $670. Leased: The current average monthly lease payment for a 2018 Honda Accord is $353. Bundle that payment with the ownership costs and the all-in monthly cost is about $596. It's bad enough to confront these extra costs during car shopping. It's much worse if the realization comes after a car deal is done — and can't be undone. The following tips can spare you a budget scramble or even avert financial disaster if the car is ultimately too much to handle and your lender repossesses it. If you've budgeted $250 for the car payment, plan instead on $500 to cover it and the ownership costs. This is crucial if you're a young buyer facing high insurance rates, if you've chosen a used vehicle that is out of warranty, or if you've selected a new or used car that gets poor gas mileage. Routine maintenance: What kind of services will this vehicle require? How often will they come up and what will they cost? You can often find the owners' manuals on the carmakers' websites. They have schedules of recommended maintenance. Once you know what's required, call a few dealerships or independent car service centers to get price estimates. Significant expenses: How much will it cost to replace a set of tires or brakes? What about other costly parts that might wear out? Fuel costs: How many miles do you plan to drive, and how much will you have to spend on fuel monthly? Could your budget withstand a spike in gas prices? Fueleconomy.gov has a fuel savings calculator that can help you plan for the long term. Insurance: Talk to an insurance agent or get a quote online. Be sure to ask about discounts for which you might qualify. It might seem that you could spare just a few more dollars each month for a car payment, but resist the urge to stretch your budget. Even with the best planning, it can be hard to gauge just how much your car costs to run until you've lived with it for a while. Leave yourself some breathing room. EDMUNDS SAYS: Seasoned owners know that a car payment is only the beginning of the overall costs of vehicle ownership. First-time buyers should research ownership costs while shopping so they can make that first vehicle a dream car, not a nightmare on wheels.